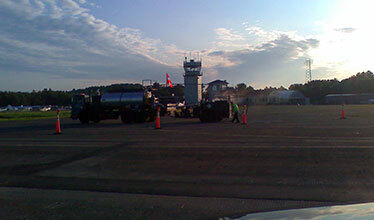 Asphalt Paving Companies Boston MA - Superior Sealcoat, Inc. Whether it’s a parking lot, roadway, bridge or airport runway, maintaining your asphalt is essential to keeping it safe and appealing for your employees, customers, tenants, and visitors. Superior Sealcoat is one of the most experienced asphalt paving companies servicing Boston MA and we have been doing it since 1990. 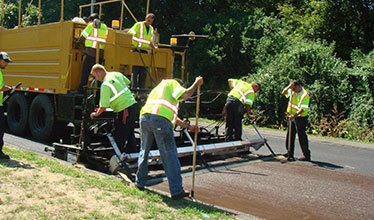 Our asphalt paving company helps municipalities, government agencies, and commercial enterprises throughout New England cost-effectively prolong the life of their paved surfaces. We integrate sound engineering, skilled crews, and innovative equipment and techniques to deliver a superior-quality end product with every project, every time. What can you expect from Superior Sealcoat? If you are looking for paving companies servicing Boston MA and surrounding towns, consider Superior Sealcoat, Inc.. We provide a full compliment of commercial asphalt paving and repair services to help enhance and prolong your pavement. Call 978-988-5555 today to receive an asphalt paving estimate or click to request an estimate online.